Contact (Play’n GO) – Help the Maya Indians Reach the Top! Contact is the latest release from Play’n GO. 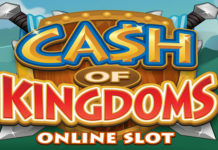 This slot does not follow the traditional slot rules with pay lines but instead uses Cluster Pays. 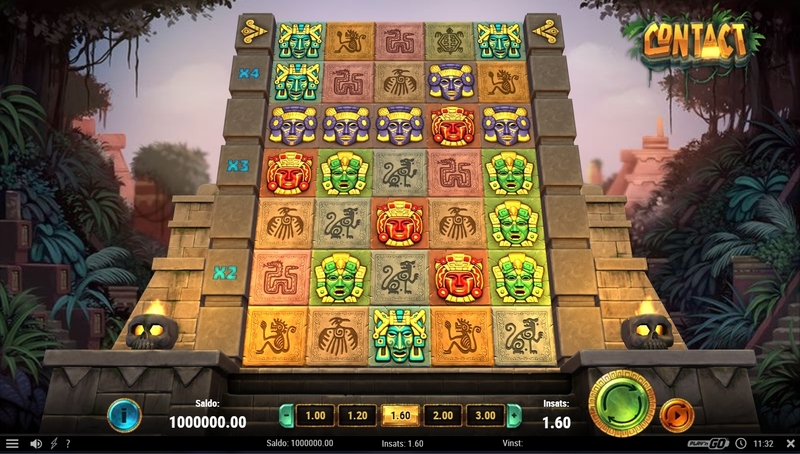 The game plan consists of five reels with seven rows of symbols. Contact contains several exciting and fun features such as Free Spins and High Multipliers. In Contact, we get to go out into the jungle to the Mayan Indians and their amazing pyramids. Here we will help them to try to build us all the way to the top. On the wheels, we find four faces of different Mayan Indians and these are the symbols that pay the most. When it comes to the low-paying symbols, we have different relics and writings that are usually associated with the Mayan Indians. The game has no Wild symbol, and only a cluster of at least five identical symbols pays. For each additional symbol, you manage to add to your cluster, you will receive another Re-Spin. If you manage to get all the way to the top you will be awarded Free Spins. 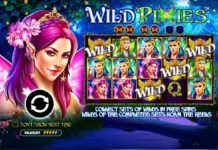 On the left side of the slot, you will also find Multipliers, the higher you succeed in building the higher the multiplier you get on your winnings. In this slot, there are two versions of Free Spins one of which is much harder to hit than the other. If you succeed in building a line all the way to the top, you will get regular Contact Free Spins, and if you manage to build all five rows to the top you will get Contact Super Spins. The difference between these spins is the frequency of how often you get rewards. In regular Free Spins you get a new random reward on every third row you manage to build together, and a higher multiplier on every other. In Super Free Spins you get both a new reward and a multiplier on each line. Your goal is only to succeed in building as high as possible for finer and finer rewards. 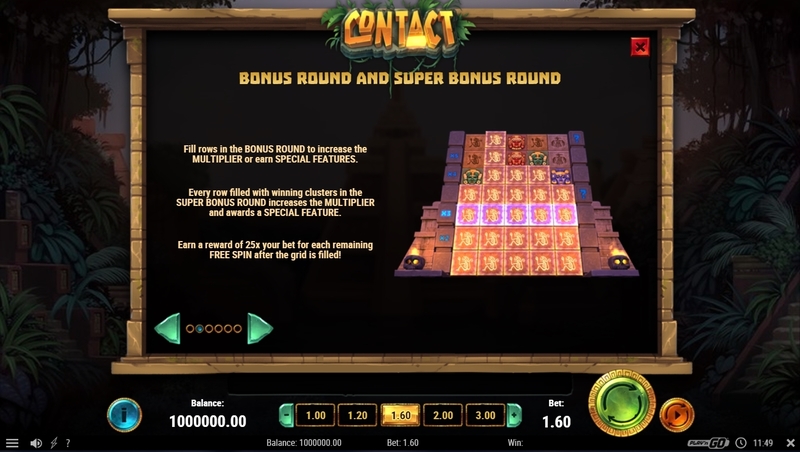 Contact is a really fun and unique slot with an exciting theme by the Mayan Indians. This slot does not follow the traditional slot rules but instead uses Cluster Pays and the goal is to build upwards as far as possible. Play’n GO is a game manufacturer that is stable and that you can really trust, and here they have succeeded once again. 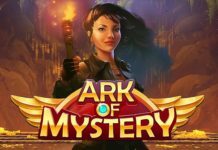 The slot is already available to play at casinos such as Rizk and Leo Vegas.